Should one laugh, or cry? 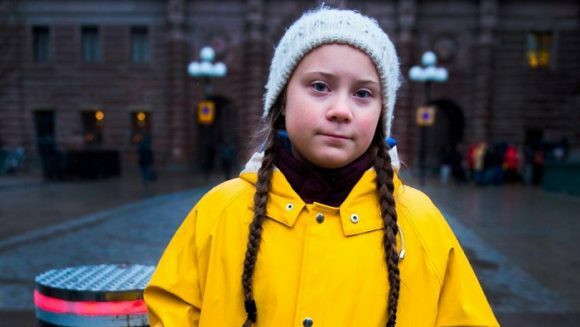 The Italian Internal Affairs Minister Salvini has posted a photoshop doctored picture on social media which has his face posted instead of the face of 16-year-old Swedish girl Greta Thunberg who drew mass awareness to the effects of climate change. Salvini said there is nothing wrong in making a fool of oneself but in truth who is he making a fool of? In 2016 Salvini had voted against the Paris Agreement on Climate Change.